Also published at Otago Daily Times (page 17). Two related misapprehensions run through nearly all the comment on the application to build a 27-storey residential building in the industrial zone. The first is that the reason the development was rejected was that a minority of noisy nay-sayers objected to the proposal. Yet, had 500 supporters put in submissions and only 4 or 5 naysayers, the decision would have been the same. The decision was not made on the basis of counting heads (though no doubt the planners were gratified that the District Plan’s provisions were so whole-heartedly supported by the populace) but on the basis of law. The developers want to build their accommodation block in an industrial area. Residential activity is specifically excluded from this area and only allowed at the discretion of the court hearing the application. Discretionary treatment can only be accorded if the effects of the variation to what is allowed are minor and the general intention accords with the aims and objectives of the district plan. The applicants’ arguments to this effect were rejected at law – not by counting heads. Until that decision is found to be wrong, or those aspects of the proposal change, it can not proceed. There is also a view that the the city council could and should have found a way of overturning – or at least of getting round – the planning committee’s decision. This is a misapprehension because the decision is a legal one that can only be overturned by a higher court and the council is not a court. The negotiations that have been taking place have been around trying to find a site and design that complies with the city’s district plan and the developers’ needs. By describing the setback to the development as “red tape” the ODT implied that the development’s lack of progress since being rejected by the planning committee is caused by overweening bureaucracy. 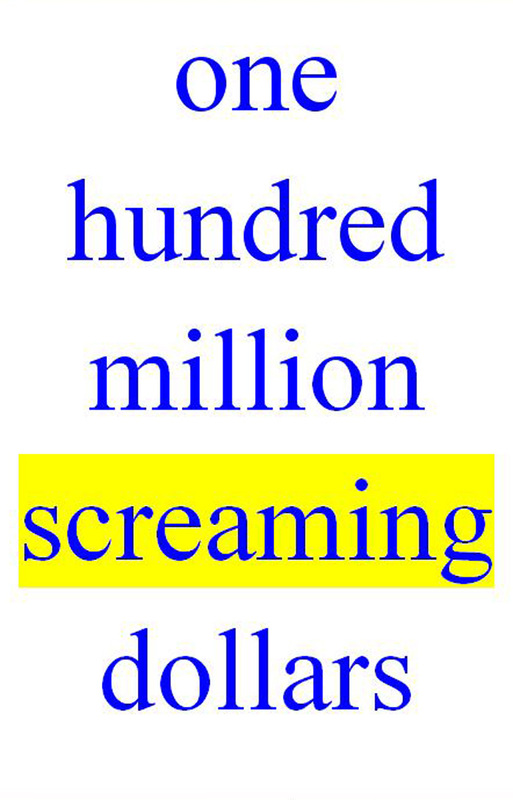 But Ms Song has made clear that the site and design are not negotiable. How can the lack of progress be the fault of red tape when the impediment is so clearly the developers’ intransigence, despite having had their application for that site and design turned down because it doesn’t meet the law? By insisting the proposal is non-negotiable during their discussion with the city, the developers appear to believe that overturning the planning decision is on the discussion’s agenda and within the council’s power. Instead of dismissing any such suggestion, the ODT and the Chamber of Commerce have encouraged them in the view that the council can change or flout the law in order to allow the development to go ahead. Fostering these misapprehensions has led to unnecessary division in the city. It’s time to stop accusing bureaucrats and antis of holding up progress and start explaining why changes to our built environment are not effected by political whim, but are, and need to be, conducted by rule of law that has undergone full democratic process. For more, enter *hotel* in the search box at right. 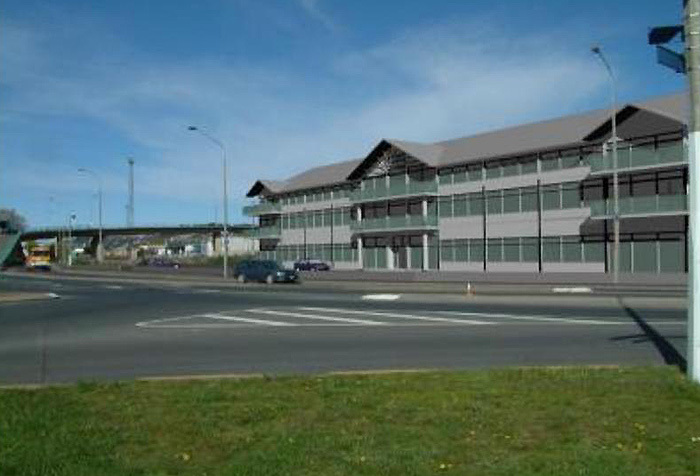 The developer planning a 27-storey waterfront hotel in Dunedin is taking its case to court. A Dunedin City Council panel declined resource consents for the $100 million project three weeks ago, saying it failed a key legal test and the glass tower would be too high for its industrial-zoned site. The five-star hotel and apartment complex has been hotly debated since being announced a year ago. On Tuesday afternoon, the company behind the project Betterways Advisory Limited, announced it will be appealing to the Environment Court against the council’s decision. The appeal will mean the court will attempt to broker a compromise between the developer, the council and any of the public submitters who want to get involved. However, it seems likely that the court will have to hold its own full hearing into the project, probably early in 2014. We really love Jing Song, Steve Rodgers, and their gift that keeps on giving. FO. A source reveals Betterways’ appeal cites Consultancy House as a precedent. Interesting, the owners of Consultancy House strongly objected to the application in their submissions. 18.6.13 Hotel: COC’s greasy spoon race. Ugh! Hotel: COC’s greasy spoon race. Ugh! Alternatives to a $100 million waterfront hotel in Dunedin are still being discussed as the clock ticks towards a decision deadline. However, exactly what the hotel developers’ next move will be remains a closely guarded secret after they were refused resource consent earlier this month. Betterways Advisory Ltd has until June 26 to decide whether to appeal the decision of the Dunedin City Council’s hearings committee to decline consent for the hotel at 41 Wharf St.
Betterways director Steve Rodgers – the man fronting the hotel bid – did not want to comment on any aspect of the hotel bid yesterday, saying only the full time allowed to decide any appeal would be needed. However, the Otago Daily Times understands several property owners have come forward with alternative sites capable of accommodating a hotel, and that parties were busy behind the scenes. That included the Otago Chamber of Commerce, which had indicated earlier this month it was talking to Betterways to try and rescue the situation. *[Otago] Chamber of Commerce, affectionately known as “COC”. Why should we lift a finger . . .
Not the same finger we lifted to the 27-storey, 96.300m high hotel/apartment building. 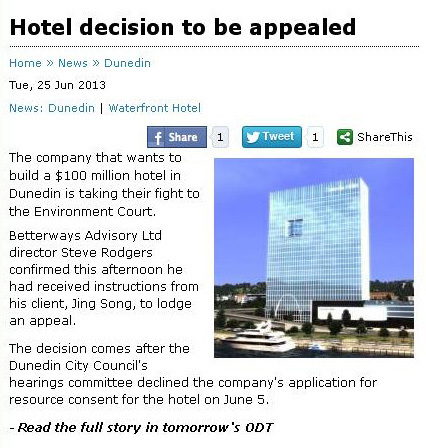 The decision to reject the Betterways Advisory bid to build a $100 million waterfront hotel in Dunedin is, on the face of it, not surprising. As the Dunedin City Council hearings committee kept calling for further information, there was a sense within the community the project would fall at the first hurdle. No city in the country can afford to stand by and let $100 million of private investment disappear. Dunedin is a heritage city, having escaped the worst of the 1980s excesses of glass towers. That, in fact, proved to be something of a problem for the developers. Hearings committee chairman Colin Weatherall this week correctly said the decision had to be made on facts, not the heart. The city prides itself on its buildings. And tourists come here for many reasons, including the cityscape. So where to from here? 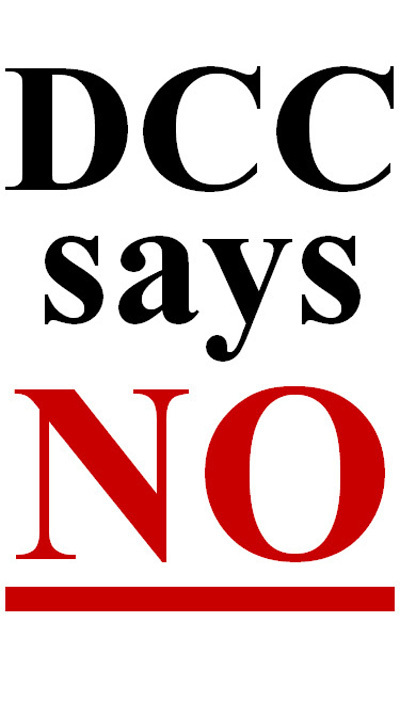 Having carefully considered all the relevant reports and documentation supplied with the application, submissions, and the evidence presented to us during the course of the hearing, we have resolved to refuse the application from Betterways Advisory Limited to construct and operate a licensed hotel with residential apartments at 41 Wharf Street, Dunedin. Since the proposal is a non-complying activity we were required to consider the particular restrictions imposed by s.104D in the Resource Management Act 1991. This requires the proposal to pass at least one of two tests. 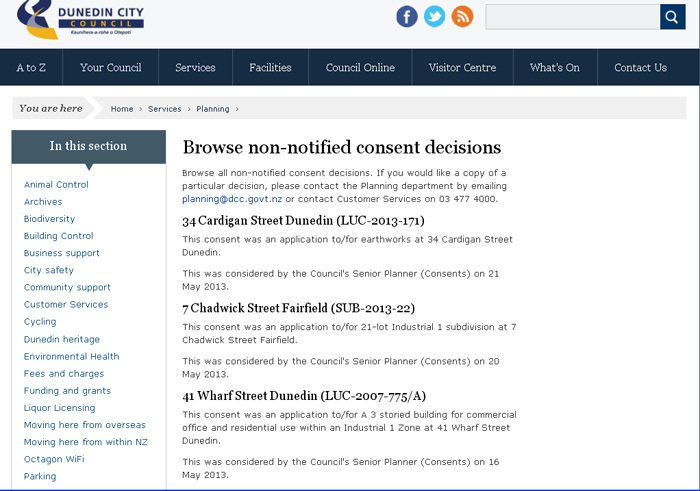 Having considered these, we were not satisfied that the adverse effects on the environment would be minor (s.104D(1)(a)), and nor were we satisfied that the activities associated with the application would not be contrary to the objectives and policies of the Dunedin City District Plan (s.104D(1)(b)). Having made these determinations, in terms of s.104D, we were unable to grant consent. Throughout Chapter 6 of this decision we considered the environmental effects that were brought to our attention and have drawn our own conclusions as to how each of these issues impacted on this decision. Having done so, we have also undertaken an overall evaluation of the adverse impacts of the proposal in light of the expected positive effects. Having examined the proposal with reference to Part 2 and Section 104 of the Resource Management Act 1991, we have also concluded that the proposal is not consistent with the overriding sustainability purpose of the Act as expressed in s.5(1). The Hearings Committee of Ministry for the Environment-approved independent Commissioners was comprised of Crs Colin Weatherall (Chair), Andrew Noone and Kate Wilson, and John Lumsden of Christchurch. ► Enter *hotel* in the search box at right for more. This consent was an application to/for A 3 storied building for commercial office and residential use within an Industrial 1 Zone at 41 Wharf Street Dunedin. This was considered by the Council’s Senior Planner (Consents) on 16 May 2013. Two Environment Court documents released in the past week spell the end of a lengthy attempt by Dunedin developer Tim Barnett to fight restrictions on his ability to build on a long-empty piece of harbourside land. The documents relate to his appeal against the Dunedin City Council’s plan change 7, or harbourside rezoning which, they said, was “nugatory”, or no longer valid. 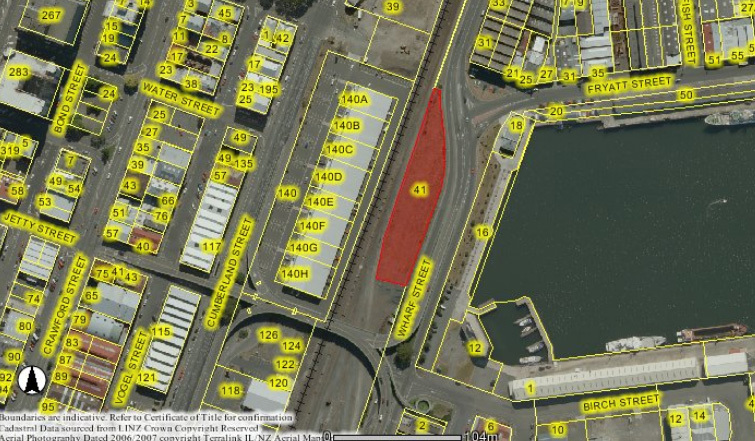 That meant no restrictions remain for the land at 41 Wharf St, on which he has resource consent to build a planned three-storey office and residential building beside the Steamer Basin at Otago Harbour. The future of the site, next to the overhead bridge from the harbour to Jetty St, was unclear, as Mr Barnett this week said commercial developments, which he could not discuss, were under way. But he is still clearly unhappy with the process he has been forced to go through. The site is highly visible to thousands of passing motorists travelling to or from Portsmouth Dr and southern suburbs. In December 2007, Mr Barnett, of Arthur Barnett Properties, applied for consent to build the 3105sq m building on windswept empty land that was once part of rail shunting yards. Two months later, the site was identified by the council as a possible road linking Wharf St with a new on-ramp to the nearby overbridge, and the council has a notice of requirement over the whole site. In May 2008, Mr Barnett was granted consent for the development, but with the council’s plans creating uncertainty, it did not proceed.